The Master Elf: Happy 4th Coffeeversary to me!! To celebrate, here are 5 specialty roasteries you should try beans from! Happy 4th Coffeeversary to me!! To celebrate, here are 5 specialty roasteries you should try beans from! The 7th February 2013... A day that'll stick in my mind for quite some time. I was just over half-way through my freshman year at the University of Birmingham and my International Relations tutor had been telling me for a while to check out a (relatively) new independent coffee shop in downtown that served cool coffee. So, one Saturday afternoon, with a friend from home in tow, I stepped into Six Eight Kafe and my coffee consumption habits changed irrevocably. From what I remember, I asked for a black coffee and the young, hip, talkative barista started telling me about a brewing method they had called the Aeropress: being the Starbucks drinker that I was back then, I reluctantly deviated from my usual black americano to try something new. Five minutes later - a long wait for Starbucks regular that I was, this seemingly americano-looking coffee arrived and I felt rather underwhelmed... That was until I took a sip and my mind was blown: this was different and better than anything I'd tasted before... I left, promising to return another day and Six Eight became a regular haunt of mine until I moved to Barcelona in Summer 2014 (more on that later). Over the last four years, I've learned so much about coffee and about myself through coffee - who'd have guessed learning how to make a v60 could help my balance and movement, eh? It's given me some great work in social media - Perfect DailyGrind, Bermont Coffee, Amoret Coffee, take a bow - and allowed me to get to know great people from all over the world. For me, this Norwegian roastery is one of (if not) the best in the world at light-roasting exclusive specialty coffees. 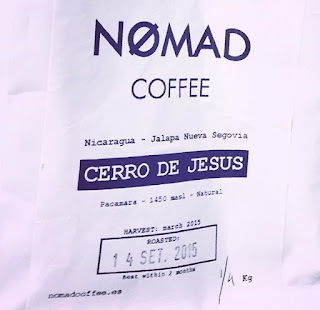 In Summer 2013, as a relatively green specialty coffee geek, I had the great privilege of visiting Oslo en route to a summer camp in the south of Norway and, of course, a trip to Tim Wendelboe was in order. Sadly, not all went swimmingly: following the Google maps on my phone, we managed to get lost and ended up having to traverse a half-finished park and children's playground to get there. Somewhat optimistically, I'd promised my parents that there'd be food at the coffee shop, but there wasn't any, so they were rather annoyed. Despite that, the Tanzanian coffee I had there that day was as close to perfection as I've ever tasted, even though Mr P described it as "like dishwater"... It was one of those sweet coffees that lingered in my mouth for hours. 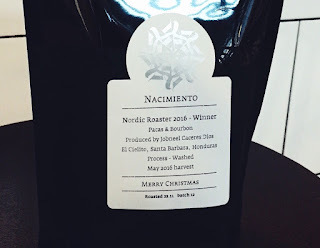 Ergo, you can imagine how delighted I was when, in December 2016, the legend that is Carlos Zavala at Wer-Haus in Barcelona was able to get ahold of a few bags of Honduran Nacimiento beans, which had just won the Nordic Roasting Championship. I cherished them during the Christmas break and was gutted when I ran out. 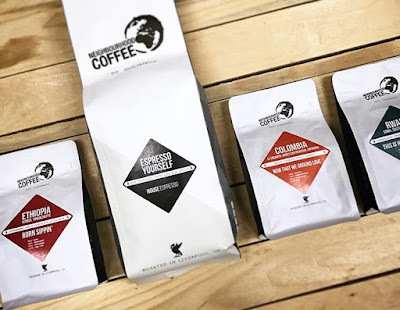 Tim Wendelboe is not your typical run-of-the-mill coffee roaster: beans from this roastery really are something special, but if you want to taste incredible specialty coffee, then check them out. 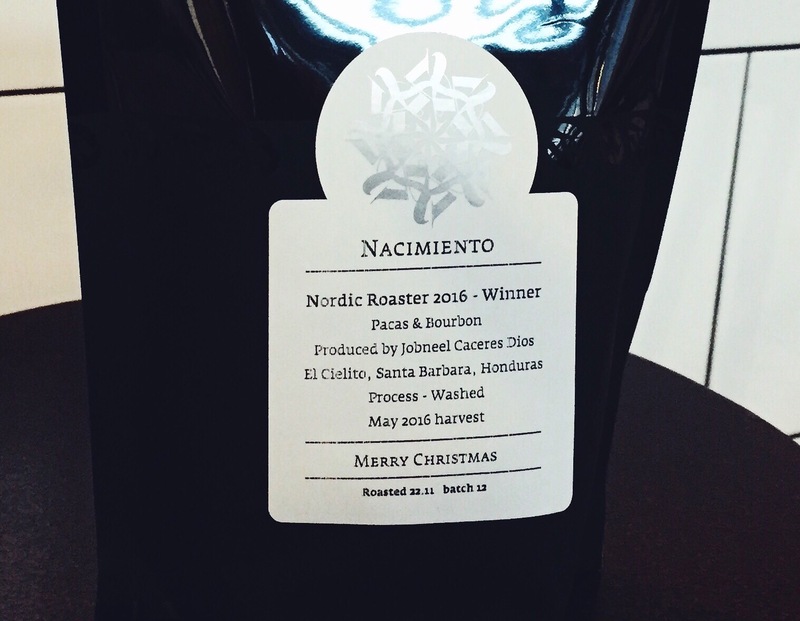 Nømad is my Barcelona specialty coffee roastery of choice. Back in 2014, when I moved to Barcelona for my Erasmus year, the specialty coffee scene here was still in its infancy. After several attempts trying to Satan’s Coffee Corner in the Barri Gòtic and getting lost, I stumbled across it one day and went in: the Satan’s team taught me so much about brewing methods, but the guys at Nømad engaged me with a holistic approach to specialty coffee, teaching me about cupping, brewing, and roasting: I’m forever indebted to these guys for teaching me recipes for different brewing methods, which I’ve found to be remarkably consistent. They’re great guys and gals roasting phenomenal beans from all over the world with a light to light-medium roasting style. Their Cerro de Jesus from 2015 makes my all-time greatest list and they’ve got in at the moment as a decaf, which I’d highly recommend. Buy at one of Nømad’s three locations (Passatge de Sert, 12; Carrer de Pujades, 95; and Carrer de la Riereta, 15) or online. Hull is not the first place that comes to mind when one thinks about specialty coffee in the UK nor it the most fashionable... That being said, this year's UK City of Culture is home to one of my favourite specialty roasteries, The Blending Room. 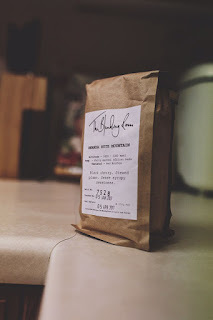 My mother discovered these guys on Beverley Market whilst on a shopping trip back in 2013 and brought me some beans home to try: I was seriously impressed by the roasting style and went online to find out more... Needless to say, I've been a big fan ever since and try to get beans from this Humberside roastery at every possible opportunity. During the week, James Wilkins, the owner and roaster, can be found in his West Hull roastery, creating the perfect coffee for specialty coffee fans and non-specialty coffee fans alike. The best place to pick up James' beans if you're in East Yorkshire is at Beverley Market on a Saturday (as my family regularly do for Christmas and my birthday); indeed, if you do that, be sure to ask the guys about the different brewing methods, so that you can brew the perfect cup at home. Buy online, at The Blending Room's roastery (Unit 24, The Boulevard Estate, HU3 4AY), or at Beverley Market on every Saturday. For my 21st birthday, I was visiting friends in Minnesota and when asked what I wanted to do, I replied that I wanted to visit Dogwood Coffee's location downtown. No, I'm definitely not normal. My friends were only to happy to oblige and and so I spent the afternoon in coffee geek heaven tasting some incredible coffees (and cascara) from around the world. 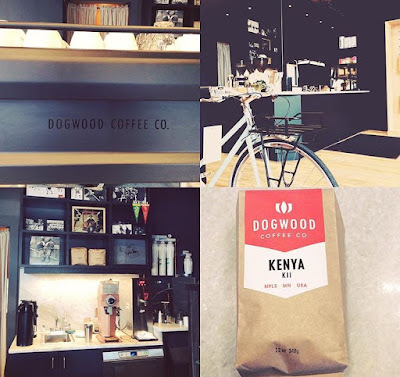 Minnesota is actually something of a coffee mecca actually, with it being the home of the famous specialty importers, Cafe Imports, and, so, if you're in MN, I'd highly recommend making a trip to one of Dogwood's locations. Neighbourhood are, literally, my neighbourhood specialty coffee roastery. Based just outside of downtown Liverpool, I make a visit to these guys whenever I'm back home and I'm in need of a specialty coffee fix. They've got a fantastic roastery underneath some railway arches just to the north of Liverpool city centre where they hold training and cupping sessions and they have a great range of equipment there. They've got a slightly more light-medium/medium roasting style than I'm used to, but their beans always taste excellent... Neighbourhood's labels are incredibly creative too and always manage to make me laugh, think or smile. Buy at Delifonseca, directly from the roastery (Unit 89, Chadwick Court, L3 7EY, Liverpool), or online. Have you tried beans from any of these guys? If so, how did you find them? What would be your top 5 roasteries?